5-CD box (LP-size) with 36-page book, 151 tracks. Playing time approx. 375 mns. 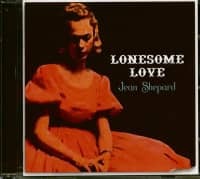 When Jean Shepard burst onto the country music scene in 1952, she had few female role models to follow. In the early 1950s, country music was still a largely male-dominated business and some people actually believed women were incapable of selling large numbers of country records. With the help of country bandleader and singer Hank Thompson, Jean landed a recording contract with Capitol Records and managed to change that opinion. Presented here are 151 legendary sides that Shepard recorded for Capitol between 1952 and 1964. The set includes her first number one single A Dear John Letter (featuring Ferlin Husky), Two Hoops And A Holler, A Satisfied Mind, Beautiful Lies and Second Fiddle (To An Old Guitar). This set features material from Jean's 1955 landmark album 'Songs Of A Love Affair' which is widely acknowledged as the first concept album recorded by a female country artist as well as her 'Got You On My Mind', 'Lonesome Love' and 'Heartaches And Tears' albums. Included in addition is a 36-page book with a newly researched biography by Chris Skinker, a discography and numerous rare photos. As America was pulling out of the Great Depression, the fifth of ten children was born to Hoit Adrian and Allie Mae (Isaac) Shepard. Ollie Imogene Shepard was born November 21, 1933, in the town of Paul's Valley, Oklahoma. The family lived a hardscrabble life trying to eke out an existence as sharecroppers. Says Jean, "We were farmers. Loretta Lynn talks about being poor, believe me she can't spell it compared to what were." She continues, "Her daddy worked for the coal mining company and her daddy could go to the company store and he could get things. Sharecroppers couldn't do that. We raised everything we ate. I didn't taste beef until I was about 14 years old. We ate chicken and pork. My mother canned everything." The family moved in 1936 about 350 miles southeast to Hugo, in Choctaw County. There they continued to farm a modest plot of land. During those very early childhood years in Oklahoma, Jean began to develop her musical ear. Jean and her nine siblings all sang in church, and according to Bakersfield musician Bill Woods, "all of the kids were good singers, especially her sister Corlew." She also cut her teeth on the music of the Light Crust Doughboys, Bob Wills, and Jimmie Rodgers. And like nearly every country singer whose career broke in the 1940s and 1950s, the Grand Ole Opry was also a Saturday night ritual. With few other diversions from the daily grind, the family would gather around a battery-powered radio to listen to the famed broadcast over WSM's 50,000-watt clear-channel station. Shortly before Jean's 11th birthday and as World War II drew to an end, Hoit and Allie Mae moved their large brood to Visalia, California, about 100 miles north of Bakersfield in Tulare County. Jean's life there paralleled that of those folks Merle Haggard chronicled in songs such as Tulare Dust. Situated in the verdant San Joaquin Valley, a rich agricultural stretch, the family continued to farm. 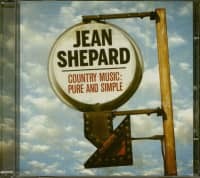 By her early teens, Jean's interest in country music had fully blossomed. "I used to know every song that Jimmie Rodgers sang. I learned to yodel from Jimmie Rodgers' records. My daddy would save up his pennies so that he would be able to buy a Jimmie Rodgers record." Jean continues, "I didn't know there was anything but the blue yodel until one day I heard Elton Britt on the radio. He was singing a song called 'Chime Bells´. I thought `Oh man, there’s more to yodeling than the blue yodel.´ So I went down to the record shop and I bought this record. Well, I laid it down in the seat and my brother sat on it and broke it. So I went back the next week, I had to save my 39 cents, you know, and bought another one. I put it up in the back of the car and the sun melted it,“ she laughs. "I then went back the next week and bought another one. They guy at the record store said, 'Imogene, what are you doing with these records? Are you eating them?' I held that third record on my lap all the way home. But I learned the Swiss yodel." Life in California meant a lot of hard work for the Shepard clan. Jean, though, found time for the normal adolescent activities such as school clubs, horses, and the like. 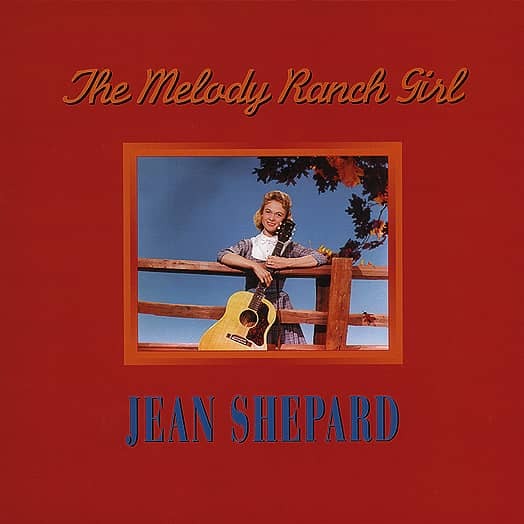 During her sophomore year at Visalia Union High, Jean joined forces with four other girls to form the Melody Ranch Girls. "There was a guy named Noble Fosberg and he had a place called Noble's Melody Ranch. We got our name from that. Noble kind of took us over and managed us." The band consisted of sisters Gerry and Wendell Starling on piano and guitar, respectively; steel guitar player Bonnie Cantrell who, according to Jean, "was exceptionally good, she played exactly like Little Roy Wiggins;" and Shirley Vinyard on drums. Jean rounded out the group on the bass fiddle. Recalls Jean, "Shirley didn't know anything about drumming and I didn't know anything about playing the bass. But that's what we needed to fill out the band. We weren't very good, though. We were a novelty. "We didn't have a lot (of money). My folks went down to the Seaboard Finance Company and pawned all our furniture, literally. They put it up for collateral to buy me my bass fiddle. My bass cost something like four hundred dollars back then. Forty-five years ago that was a lot of money. That's how supportive they were of my music." Soon the Melody Ranch Girls were working steady gigs three nights a week at Pismo Beach near San Luis Obispo and Jean was able to retire her debt for the bass. Meanwhile she continued to meet her academic obligations at Visalia Union High. (Steel guitarist and longtime Merle Haggard band member Norm Hamlet and guitarist Gene Breeden, who would later play on some of Jean's LA sessions, also attended Visalia with Jean.) "We played Fridays, Saturdays, and Sundays and then we'd jump in the car and drive from Pismo Beach back across the mountain range just in time for me to get home, jump in the shower and catch the school bus. I did this for about two years. It was rough but I finally graduated," she says. 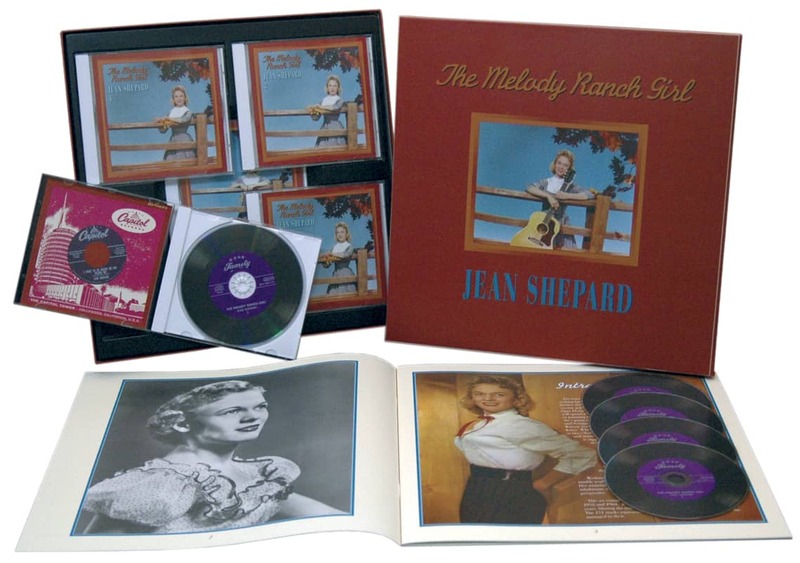 Customer evaluation for "The Melody Ranch Girl (5-CD)"